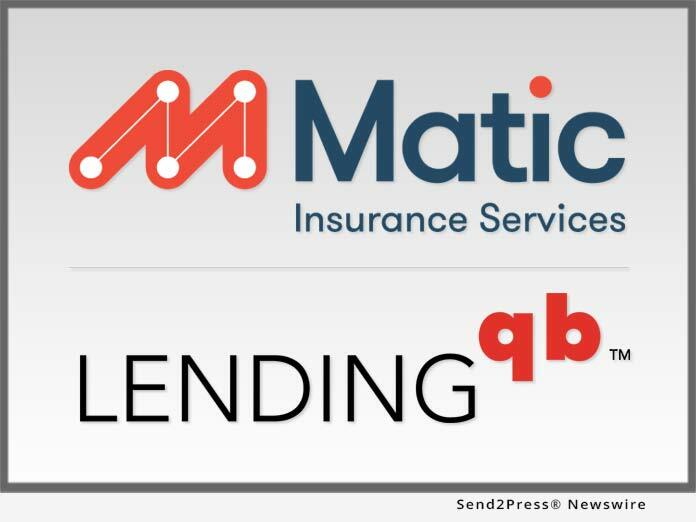 Matic Insurance Services (Matic), a digital insurance agency that enables borrowers to purchase homeowner’s insurance during the home-buying transaction, today announced a new partnership with LendingQB, a provider of “lean lending” loan origination technology. Matic announced the news as part of a live demonstration at San Francisco’s Digital Mortgage Conference. SHERMAN OAKS, Calif. /Mortgage and Finance News/ — Matic Insurance Services (Matic), a digital insurance agency that enables borrowers to purchase homeowner’s insurance during the home-buying transaction, today announced a new partnership with LendingQB, a provider of “lean lending” loan origination technology. Matic announced the news as part of a live demonstration at San Francisco’s Digital Mortgage conference. Matic’s integration with LendingQB’s flagship loan origination software (LOS) makes it easy for borrowers to upload or secure a homeowner’s insurance policy during the mortgage application process. The result is a less stressful experience for borrowers and the elimination of costly insurance-related delays for LendingQB’s lender clients. Loan officers, processors and closers can initiate the process by issuing a one-click invitation from within the LendingQB LOS. Alternatively, borrowers can request a quote with the click of a button from within their lender’s self-service mortgage portal. The entire process, from requesting a quote to securing a policy, can be completed in minutes. LendingQB is a provider of Lean Lending solutions for residential mortgage banking organizations. The Lean Lending solution consists of a 100 percent web browser-based, end-to-end loan origination system, best of breed integrations with key industry partners and ‘adoptimization’ services that result in faster cycle times and lower costs per loan. For more information, call 888-285-3912 or visit https://lendingqb.com.